ICEY is a side-scrolling melee combat game with a unique twist in the form of an omnipresent voice. The narration is reminiscent of Stanley Parable with the meta-commentary and admonishments when you disregard commands. 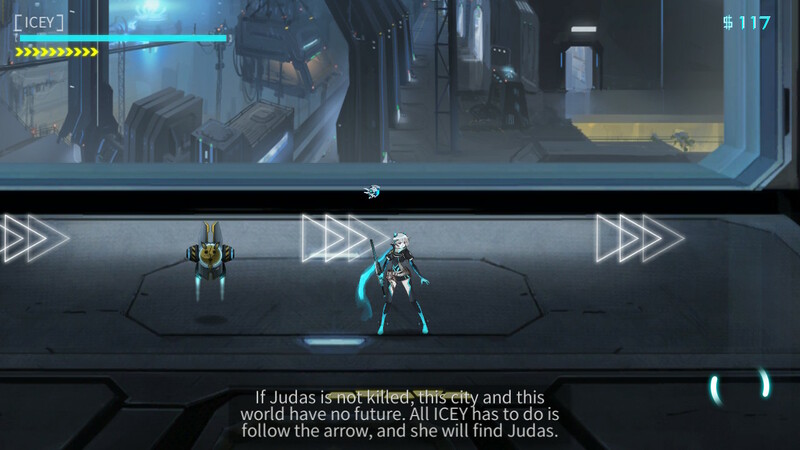 ICEY sets out with a single mission: defeat Judas. The main storyline does not offer much but going against the narrator’s incessant cries to follow the arrow will unlock alternate endings where the heart of the story really lies. 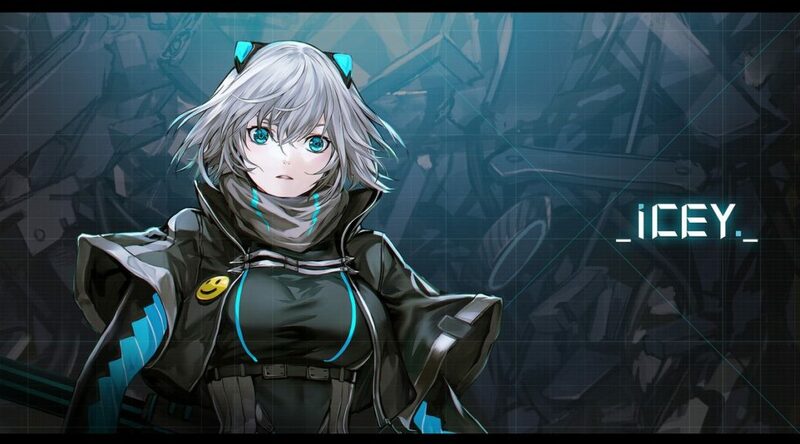 While some might find the narration cringy, it is what sets ICEY apart from other hack-and-slash games. Time and again, the narrator breaks the fourth wall and you will soon find yourself questioning his reliability. To give you an idea of how meta this game can get, jumping into the ravine thrice in a row earns you a lengthy lecture about not appreciating the developers’ hard work. Unlike most games where 100% completion is a chore for casual gamers, the multiple endings and trophy achievements make it worthwhile. Easter eggs are also sprinkled liberally into the game and you will find them simply by deviating from the prescribed path. It’s best to go into this game blind and allow it to take you by surprise! Near the beginning, the game prompts you to select a difficulty. 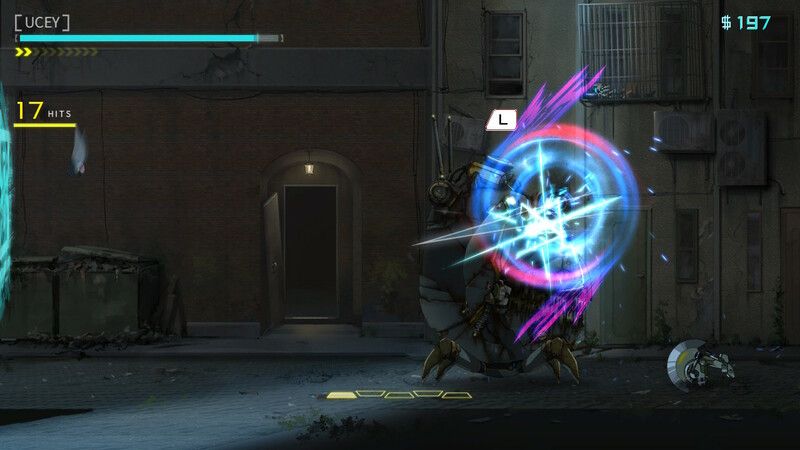 It is recommended that you select the hard mode as it provides just the right amount of challenge. The combat is simple and addictive, with over ten different combos available to purchase and upgrade at terminals scattered around the map. 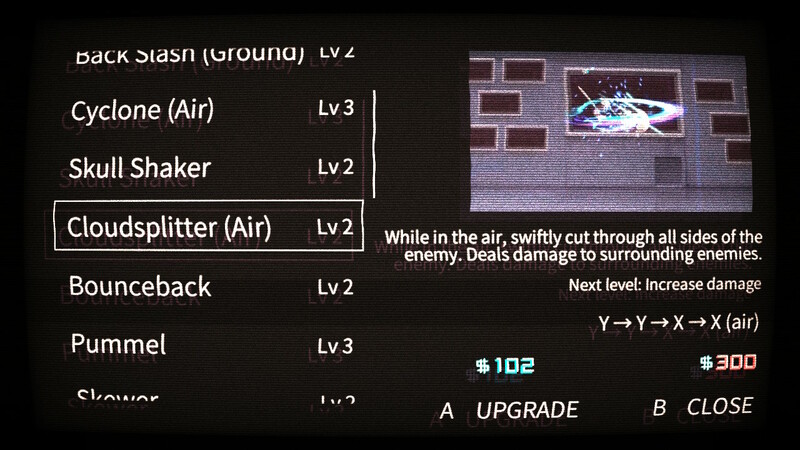 In addition, well-timed dashes to evade enemies’ attacks will grant you a chance to counterattack. This game is also incredibly generous with ICEY’s movement. 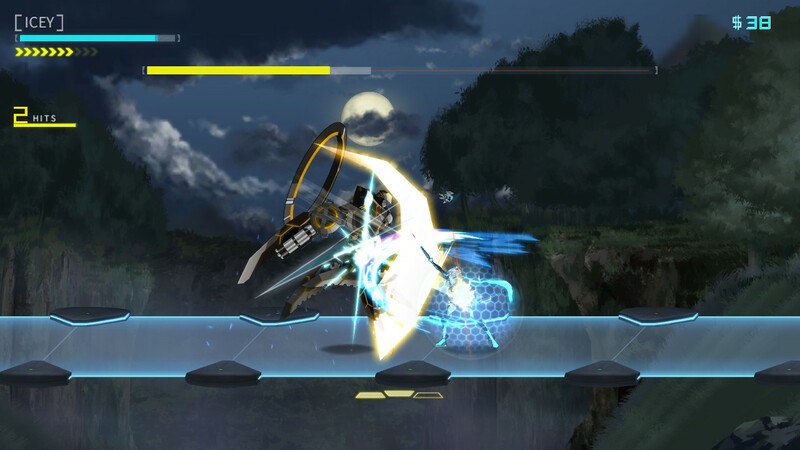 During battles, a mix of jumps, dashes and combos will allow you to stay airborne for a long time. And very often, that is your best bet for victory. 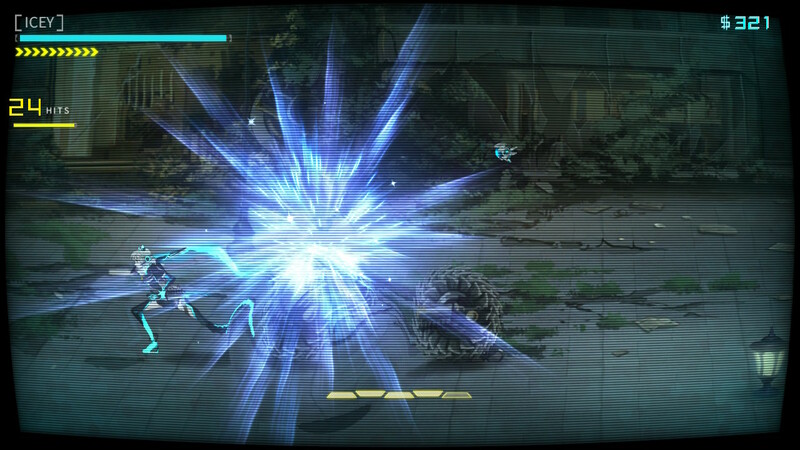 Overall, it is a real treat seeing ICEY warp across the screen as she executes a series of stunning combos. Considering the relatively short length of the game, there is a decent variety of enemies. However, as you explore alternate endings and face the same hordes of enemies, the gameplay might feel a little repetitive. Enemies are not too challenging but still require some understanding of their movements and attacks to defeat. Hence, despite the combat being a generic “hack-and-slash” mechanic, randomly mashing buttons will not get you very far. The difficulty ramps up significantly during boss battles; their attacks can be very taxing especially when your shield is down. Most boss fights were not won in a single round. But once you figure out their attack patterns, it’s just a matter of hacking away at their HP. And if you’re still stuck after multiple attempts, there’s always the option of taking a step back and exploring other areas to farm for upgrades. Visually, the game looks amazing. The high-tech backgrounds are rich in details though you’ll likely find yourself drawn to ICEY’s dazzling combos instead. The occasional vignette effect adds to the underlying narrative and makes you question if ICEY is in a dream. It is unfortunate that there were a couple of dips in frame rates during the more intense battles, but they were nothing too serious. At $9.99, ICEY offers a great value for those who enjoy melee combat and meta-commentaries. This Review Was Written By NintendoSoup Guest Reviewer Jolene.